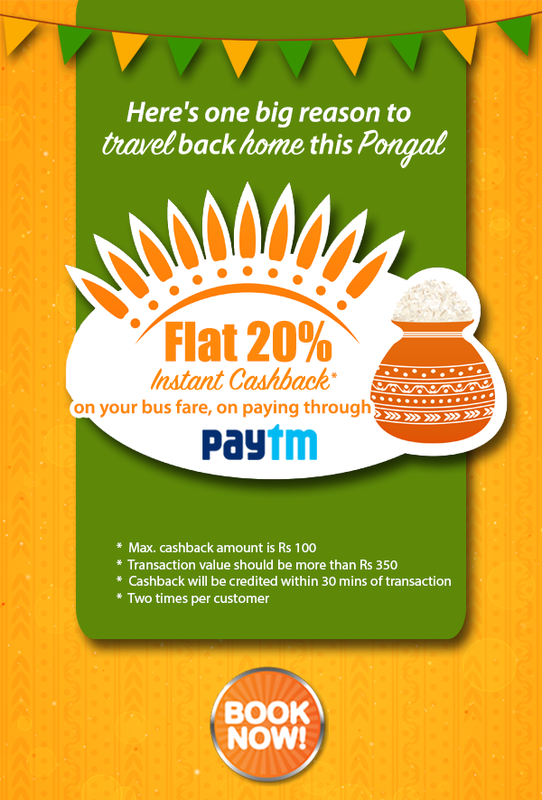 Ticket Goose provides flat 20% instant cashback on your bus ticket when you book your ticketgoose bus ticket through Paytm. Plan your travel and book your tickets in TicketGoose.com through Paytm. How to avail this TicketGoose Bus ticket offer for today? 2. Search for buses on the desired date between the source and destination points. 3. Book the desired bus. 4. Confirm your bus ticket booking by making payment through Paytm. 1. Maximum Paytm cashback is Rs.100. 2. Minimum transaction value should be Rs.350. 3. Cashback will be credited within 30 minutes once the transaction is completed. 3. This offer can be availed two times per customer. Happy Thrilling Tuesday with TicketGoose!